Consumers who living in high density dwellings with balconies; houses with fences, banisters and balconies who wish to grow their small organic vegetable garden or flowers utilizing existing structure to maximize living space. Many interior designers are using the Greenbo Planter to decorate indoor and outdoor restaurants, coffee shops area, office spaces and pool fences to free up balcony or garden space. Use on any fence, banister or balcony - Indoors or outdoors. Comes with two built-in drainage trays. Is the Sadlle Planter stable? Can it fall in high winds or if knocked? 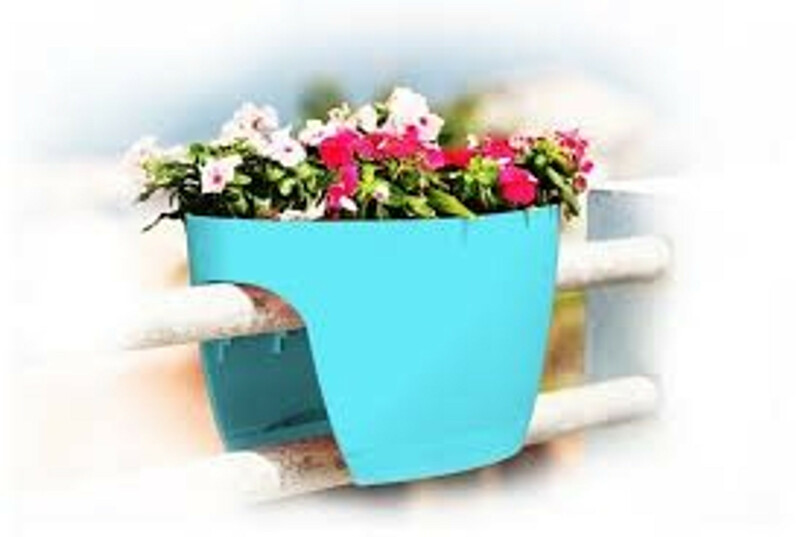 There is no need to fear falling as a result of pushing the planter, wind or any other cause- the planter’s two leg design holds the planter tight to the railing. Greenbo XL Designer Rail & Deck Window box awarded at the “red dot award: product design 2012”After an evaluation process lasting several days, it received one of the coveted awards, assigned by a 30-member expert jury. Creative heads and manufacturers from all over the world had submitted 4,515 designs altogether to the renowned product competition. With its high design quality, Greenbo XL Designer Rail & Deck Window box could inspire the experts. It received the globally sought-after red dot for its fine design language in the home & garden product design category.